Researchers at the Stanford University School of Medicine have identified a group of proteins that are mutated in about one-fifth of all human cancers. This finding suggests that the proteins, which are members of a protein complex that affects how DNA is packaged in cells, normally work to suppress the development of tumors in many types of tissues. The broad reach of the effect of mutations in the complex, called BAF, rivals that of another well-known tumor suppressor called p53. It also furthers a growing notion that these so-called chromatin-regulatory complexes may function as much more than mere cellular housekeepers. "Although we knew that this complex was likely to play a role in preventing cancer, we didn't realize how extensive it would be," said postdoctoral scholar Cigall Kadoch, Ph.D. "It's often been thought that these complexes play supportive, maintenance-like roles in the cell. But this is really changing now." Dr. Kadoch shares lead authorship of the study with postdoctoral scholar Diana Hargreaves, Ph.D. Gerald Crabtree, M.D., professor of developmental biology and of pathology, is the senior author of the study, which was published online on May 5, 2013 in Nature Genetics. Chromatin-regulatory complexes work to keep DNA tightly condensed, while also granting temporary access to certain portions for replication or to allow the expression of genes necessary for the growth or function of the cell. Members of Dr. Crabtree's laboratory have been interested in BAF complexes and their function for many years. Recently, they reported in the journal Nature that switching subunits within these complexes can convert human fibroblasts to neurons, which points to their instructive role in development and, possibly, cancer. A research group headed by molecular biologist Dr. Andrea Pichler from the Max Planck Institute of Immunobiology and Epigenetics in Freiburg, Germany, has made an important discovery in meiosis research. Dr. Pichler and her group have identified a new mechanism that plays an important role in meiosis. The work was reported online on May 2, 2013 in Molecular Cell. Meiosis, also called reductional division, is a key process in sexual reproduction. It shuffles parental genetic material and thus guarantees genetic variety. In order to control various biological processes, cells are able to selectively alter properties of their proteins, such as their lifespan, activity level, binding partners, or localization of the proteins. This is accomplished, for example, by attaching one or more small ubiquitin-like modifier (SUMO) proteins. This takes place in three sequential enzyme-dependent steps. Scientists have assumed that the enzyme for step 2 was solely an intermediate. As the scientists in Freiburg have now discovered, the step-2 enzyme is itself modified by the SUMO protein and thereby alters how it functions. The surprising effect: the conventional activity of the enzyme is switched off by this change and instead, a new function is gained. It works together with the activated, unaltered enzyme in the formation of SUMO chains. If this effect is blocked, there are serious consequences: the protein structure (synaptonemal complex) that forms between the homologous chromosomes can no longer be established. 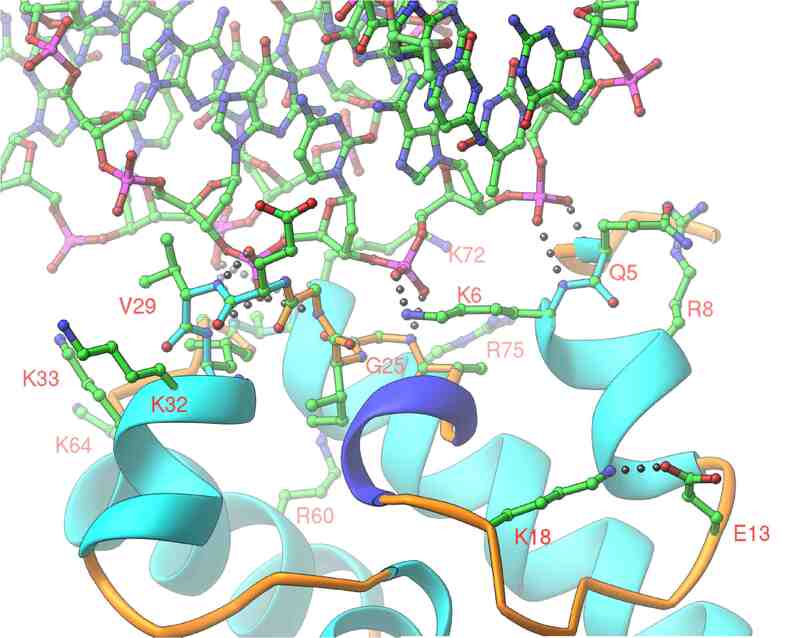 A tiny amount – less than one percent – of the SUMO-modified step-2 enzyme is sufficient to form a normal protein structure. Researcher Dr. Helene Klug from Dr. Researchers at Lund University in Sweden have developed a new mouse model that answers the question of what actually happens in the body when type 2 diabetes develops and how the body responds to drug treatment. Long-term studies of the middle-aged mouse model will be better than previous studies at confirming how drugs for type 2 diabetes function in humans. The work was published online in May 2013 in Diabetologia. "The animal models for type 2 diabetes studies that have previously existed have not been optimal because they use young mice. Our idea was to create a model that resembles the situation in the development of type 2 diabetes in humans. We generally get the disease in middle age when we start to put on weight and live a more sedentary, and more stressful, life. Our new middle-aged mouse model has enabled us to study long-term physiological effects of the development and treatment of type 2 diabetes in a completely new way", said Dr. Bilal Omar, one of the researchers behind the study. What the Lund researchers have done is to feed normal mice fatty food over a long period from the age of eight months, i.e. middle age, until the end of their natural lives at the age of two years. The mice become overweight, and develop high blood sugar levels and reduced insulin release, as expected before the onset of type 2 diabetes. "Throughout the period we were able to study the process that leads to the development of type 2 diabetes with a lifestyle like that of people predisposed to the condition," said Dr. Omar. In the study, the researchers could confirm that fatty foods lead to inflammation in the islets of Langerhans in the pancreas, which produce insulin. Researchers have seen inflammation in the islets in people with type 2 diabetes, but in Dr. In a promising development for diabetes treatment, researchers have developed a network of nanoscale particles (see image) that can be injected into the body and release insulin when blood sugar levels rise, maintaining normal blood sugar levels for more than a week in animal-based laboratory tests. The work was done by researchers at North Carolina State University, the University of North Carolina at Chapel Hill, the Massachusetts Institute of Technology, and Children’s Hospital Boston. “We’ve created a ‘smart’ system that is injected into the body and responds to changes in blood sugar by releasing insulin, effectively controlling blood sugar levels,” says Dr. Zhen Gu, lead author of a paper describing the work and an assistant professor in the joint biomedical engineering program at NC State and UNC Chapel Hill. “We’ve tested the technology in mice, and one injection was able to maintain blood sugar levels in the normal range for up to 10 days.” When a patient has type 1 diabetes, his or her body does not produce sufficient insulin, a hormone that transports glucose – or blood sugar – from the bloodstream into the body’s cells. This can cause a host of adverse health effects. Currently, diabetes patients must take frequent blood samples to monitor their blood sugar levels and inject insulin as needed to ensure their blood sugar levels are in the “normal” range. However, these injections can be painful, and it can be difficult to determine the accurate dose level of insulin. Administering too much or too little insulin poses its own health risks. The new, injectable nano-network is composed of a mixture containing nanoparticles with a solid core of insulin, modified dextran, and glucose oxidase enzymes. Hair dye manufacturers are on notice: the cure for gray hair is coming. That's right, the need to cover up one of the classic signs of aging with chemical pigments will likely be a thing of the past thanks to a team of European researchers. 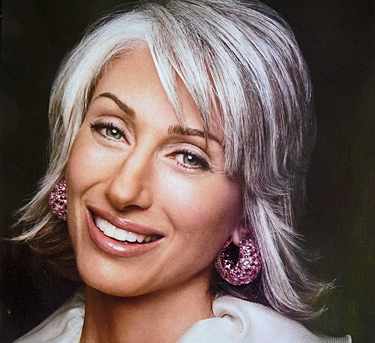 According to a new research report published online on April 29, 2013 in The FASEB Journal, people who are going gray develop massive oxidative stress via accumulation of hydrogen peroxide in the hair follicle, which causes their hair to bleach itself from the inside out, and most importantly, the report shows that this massive accumulation of hydrogen peroxide can be remedied with a proprietary treatment developed by the researchers and described as a topical, UVB-activated compound called PC-KUS (a modified pseudocatalase). What's more, the study also shows that the same treatment works for the skin condition, vitiligo. "To date, it is beyond any doubt that the sudden loss of the inherited skin and localized hair color can affect those individuals in many fundamental ways," said Karin U. Schallreuter, M.D., study author from the Institute for Pigmentary Disorders in association with E.M. Arndt University of Greifswald, Germany and the Centre for Skin Sciences, School of Life Sciences at the University of Bradford, United Kingdom. "The improvement of quality of life after total and even partial successful repigmentation has been documented." To achieve this breakthrough, Dr. Schallreuter and colleagues analyzed an international group of 2,411 patients with vitiligo. Of that group, 57 or 2.4 percent were diagnosed with strictly segmental vitiligo (SSV), and 76 or 3.2 percent were diagnosed with mixed vitiligo, which is SSV plus non-segmental vitiligo (NSV).